Give students a big picture overview of medieval castles with these PowerPoint slides. Students will learn the purpose of medieval castles and get a glimpse of some of the activities that took place inside their walls. Eyewitness: Castle provides an in-depth, comprehensive look at the history and structure of castles through a unique integration of words and pictures. 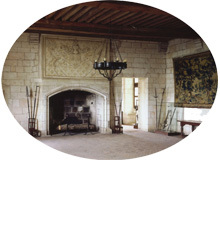 Discover the mysteries of the medieval castle and what life was like for those living within.